The Apathy Band LP is now available! 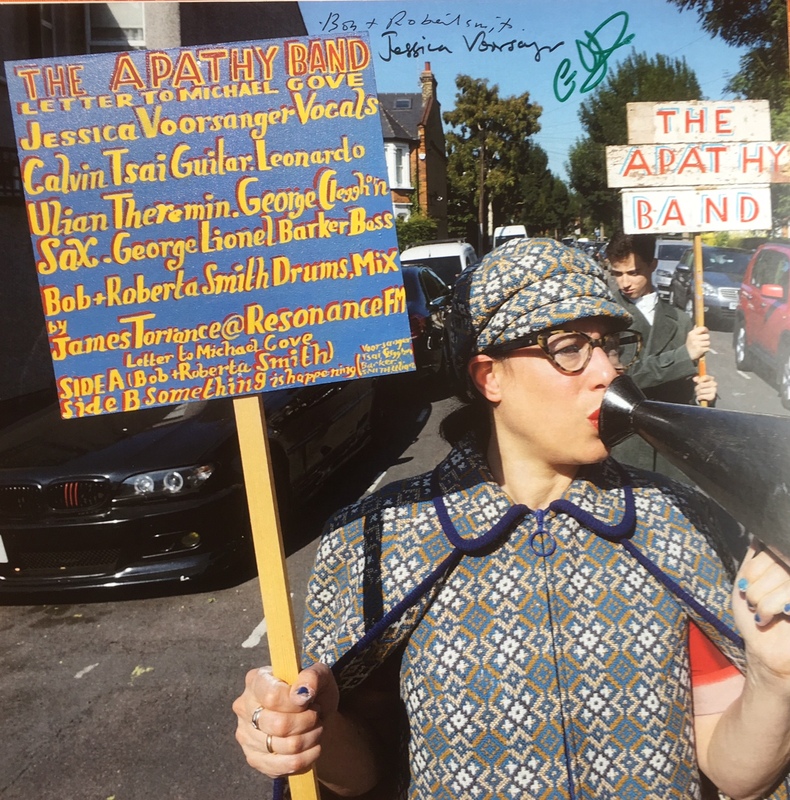 Hot off the presses is The Apathy Band’s new LP! Available on eBay. This is the first LP for the Apathy Band. The band has had many incarnations but this version has the experimental funk fusion sounds that George Cleghorn brings with saxophone, Calvin Tsai brings with his guitar, George Lionel Barker (also known from The Fucks) on piano & bass, Leonardo Ulian on the Theremin and Jessica Voorsanger on spoken word.